Kirks is a specialist firm of Licensed Insolvency Practitioners who help and assist businesses facing financial problems. 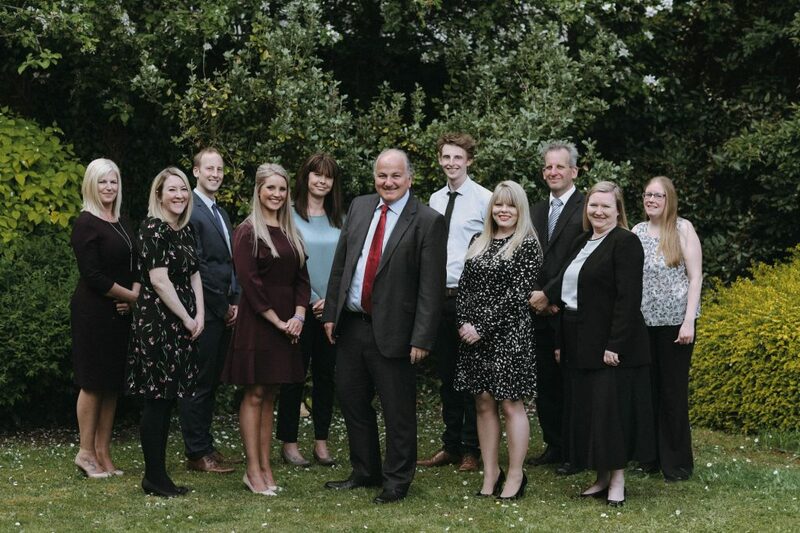 The firm started in 1992 when David Kirk set up his own practice in Exeter. The firm is still owned by David Kirk and is an independent practice and not part of a national chain. We provide support and advice in rescue, recovery and insolvency. 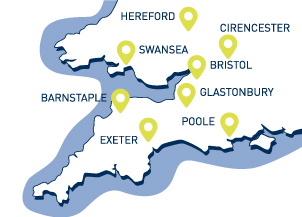 The firm has expanded with insolvency offices now in Exeter, Barnstaple, Poole, Cirencester, Bristol, Hereford, Swansea and Glastonbury. We have ten experienced members of staff plus support staff. The firm is regulated and authorised by the Institute of Chartered Accountants in England & Wales. We are bonded by Marsh and have professional indemnity insurance covering all of our work. Our aim is to put clients first and help them decide on the right options in usually very difficult circumstances. Our experience of having dealt with so many different types of businesses and situations helps us to do this. – to find a buyer to save some of the staff. If you have any questions please feel free to call us. We do not make any charge for an initial meeting or telephone conversation. David Kirk is a Chartered Accountant and Licensed Insolvency Practitioner. He has been dealing with businesses facing financial problems for more than 25 years and offers a helpful and sympathetic approach to directors and business owners. His aim is to make sure you understand the options and choose the right one for you and your business. David will travel to meet clients and covers all of England and Wales. David is regularly appointed as an Administrator and Officer of the Court over companies that need to continue to trade for a short period of time whilst they are sold. - Institute of Chartered Accountants in England and Wales, member number 7793479. - Insolvency licence number 1260. - Insolvency Risk Services enabling bond reference 0309/23778728. - David is a Fellow Member of R3 the insolvency professional body. Lisa Thomas is a Licensed Insolvency Practitioner authorised by the Institute of Chartered Accountants in England and Wales. She started her career in insolvency in 2002 and qualified in 2009. Lisa deals with a wide range of businesses and is very good at investigating and progressing insolvency assignments. - Institute of Chartered Accountants in England and Wales, member number 2032272. - Insolvency service licence number 9704. - Marsh enabling bond reference QBE 022422. Richard Burkill is a Chartered Accountant and qualified as a Licensed Insolvency Practitioner in 1995. He ran his own firm up until 2011 in the South West and then joined Kirks Insolvency. Marie Drysdale joined the firm in 2006 after a career break and passed the Certificate of Proficiency in Insolvency in 2010. She deals with Administrations including Pre-pack Administrations. Karen Keogh joined the firm in 2003 and joined the insolvency team in 2005 and qualified in the Certificate of Proficiency in Insolvency in 2009. She is based in Yeovil covering the Poole and Cirencester offices. Emma Taylor trained with Milsted Langdon and joined Kirks Insolvency in 2007. She qualified with a Certificate of Proficiency in Insolvency in 2009. Emma deals with personal insolvency including where we act as Trustee in Bankruptcy or dealing with Individual Voluntary Arrangements. Daniel Jeeves has been with the firm since February 2012 and works in the corporate insolvency department. Daniel is a graduate in Finance and Business from Bournemouth University. Joanne has worked for the firm since January 2012 having previously worked for a legal practice in Plymouth. She is currently studying for her CPI exams in 2014. Alison has worked for the firm for ten years in the Plymouth office and heads up the office administration and cashiering.